Omaha is home to the world’s largest indoor desert under the world’s largest geodesic dome above the world’s largest nocturnal exhibit next to one of the world’s largest indoor rainforests! (Yes, you read that right!) Gain some knowledge at The Durham Museum, explore hundreds of acres at Lauritzen Botanical Gardens, and gaze your eyes at works of art at the Joslyn Art Museum. Check out Old Market for street musicians, artists, and more entertainment around every corner. Cobblestone streets lined with boutiques and galleries are sure to keep your eyes occupied! Enjoy new restaurants, original steakhouses, local pubs, cafes, and jazz clubs that make Old Market one of the best stops in Omaha. The Old Market is large enough to keep yourself busy but small enough to feel like you have conquered it in a day. Be sure to sit and soak up the atmosphere and while you’re at it why not indulge in a craft beer whilst listening to some of the top-rated street musicians in Omaha. Omaha’s Henry Doorly Zoo and Aquarium boasts not only the world’s largest indoor desert but also North America’s largest indoor rainforest! There are also over seven acres of indoor exhibits, thousands of animals and underground caves covering a total of 130 acres. Immerse yourself in a desert environment without leaving Nebraska. Guests have the opportunity to see plant and animal life from three of the world’s deserts: the Namib Desert of southern Africa, the Red Center of Australia and the Sonoran Desert of the southwest United States. As you exit the Desert Dome, there is a special room designed to showcase newly hatched or young reptiles and amphibians. This area also houses some of the reptile related conservation and research projects taking place at the Zoo. Each window and skylight allows the young reptiles access to beneficial ultraviolet rays from the sun. Additionally, guests can walk on the bottom of the ocean and come nose to nose with sea turtles as sharks circle above them in the 70-foot shark tunnel. Discover polar regions, temperate oceans, coral reefs, and the Amazon as guests explore the largest aquarium in a zoo. The zoo is open all year making it great for rainy days as well. Omaha guests have a wide selection from nine different breweries to sample the tastiest Omaha Craft beer. All the featured beers are produced by dedicated locals. Take advantage of the Omaha craft brewery tour, which stops at all nine breweries and provides you with coupons for nine free beers. Hotel Deco XV welcomes its guests with 89 luxury suites and rooms including four event spaces. Carrying a 1930’s style, this high-end accommodation effortlessly blends a contemporary hotel experience with an old soul. Guest rooms feature extraordinary furnishings, surface flooring, and amenities to ensure the highest standard of comfort and satisfaction. The Front Desk staff will assist with dining reservations, travel, and provide tips on Omaha arts and entertainment offerings. Visit the new restaurant Monarch Prime & Bar featuring a methodically developed dry-aging program, wonderful cocktail menu and a newly designed wine list. Serving daily lunch, dinner and Sunday brunch. Guests enjoy time at the Magnolia Hotel in Omaha. Once standing as the Aquila Court Building, the Magnolia Hotel in Omaha is now structured to mimic the Bargello, a palace in Florence, Italy. Guests will discover the inviting warmth and hospitality in the center of downtown Omaha. With only a three-block walk to Old Market, it’s easy to get around and enjoy the town. There’s a free shuttle bus service to downtown Omaha that is available from the Magnolia. Guests can also enjoy the 24-hour gym or the business center. Search for hotels in Omaha and your Bonwi points will cover an additional few nights stay! Combining business travel with leisure pursuits is the latest trend in travel. In the age of the fifteen-second attention spans (it may be closer to ten now) millennials are making use of the work phenomenon ‘bleisure’, a blending of leisure activities and work on business trips. While baby boomers and Generation X’ers are also in on the trend millennials are leading the pack with this double-think strategy. Killing two birds with one stone has allowed many youngins to cut down heavily on vacation costs. Frank Thurman, Vice president of marketing for National has expressed that all generations believe this mix of work and play has led to a healthier work/life balance overall. Despite the consensus, millennials believe they should be keeping their leisure activities on the down low compared to Generation Xers and the boomers. This may change as this notorious age group begins to take over managerial positions. Bosses who partake themselves are 25 percent more likely to encourage workers to “bleis” as well. Travel companies are adapting to this new trend, as millennials and past generations seek out accommodations over the interwebs, obscure and well known alike. HotelTonight is cornering this market with its curtailed app for business travel and varied time slots spanning from last minute to three months in advance. You never know when the boss will need you to jet off to Seattle. Bleisure is also going global, with the most visited cities including hot spots like Singapore, Shanghai, London, Paris, Tokyo and (of course) the ever-relevant New York City. The most common bleisure trip months are September and October. General tips for planning these multifaceted getaways include scheduling meetings for Monday or Friday, booking through your company travel portal and using the company’s lodging rate, and being fully aware of your company’s travel policy. The bleisure trend has extended past pure travel and delved into the fashion industry as well. Par en Par is a clothing line designed to allow the wearer to slip from business casual to “lets-muck-up-the-town” with ease. More and more young folks are gravitating towards jobs with the perks of flexible business-travel. And businesses are using it to their advantage, putting these benefits front and center as they compete for talented, up-to-date employees. An article in Travel Weekly explained how employers are working to grasp how important being able to combine business and leisure is to Millenials. “Understanding the needs of a client’s employer can go a long way toward helping that employer formulate an effective policy about bleisure travel, according to Leah Kirgis, manager of leisure travel at Cadence, a Virtuoso agency in La Jolla, California. “One of the things we’re often asking—and something that we find directly related to bleisure travel—is how can we help our clients create a more ‘human’ travel policy, rather than one strictly focused on cost savings?” she says. As they say, “Build it and they will come.” Not exactly a baseball stadium, but you get the point. Find the perfect hotel room and bank your Bonwi points to earn future stays! When you tell most people “I’m vacationing in Florida” their immediate thoughts probably turn to old people, drugs, and a blazingly humid climate. While this might be true, the new hotels in the state’s capital, Tallahassee, more than make up for this over exaggerated reputation. You might want to plan a few years in advance for these though. The proposed New Hyatt House hotel in Tallahassee, Florida. The New Hyatt House Hotel falls into one of these up and coming accommodations. Five stories and 120 rooms, this structure is due to begin construction this April 2019 and end in January 2021. The building will be located at the entrance to Railroad Square Art Park. Its design will be inspired by the areas industrial, quirky style. Another standalone building will be nearby for all the retail space a shop-a-holic could ask for. The balance between staying true to the area while still incorporating the chain continuities of the Hyatt have been masterfully achieved. The nearby Florida A and M campus provides plenty of college students, regularly updated art galleries, and expressive thespians for the all around arts lover. Definitely check out the Crum Box Gastgraden and cross off eating in an engine caboose from your bucket-list. And don’t worry, locals will still have access to the park during construction. Further down the road, Indigo hotels are also planning to set up an outpost in this historic Florida city. This company is dedicated to assimilation; incorporating locally inspired murals into its buildings, along with local music and menu options in their restaurant that will be changing with the seasons. Indigo Hotel in Tallahassee, Florida. Hampton by Hilton Hotel in Tallahassee, Florida. If you’re looking to vacation before 2021, the Hampton by Hilton built this past Spring 2018 in the epicenter of the All Saints District and Gaines Street Corridor. Worry-free spaces with familiar feels create an environment that makes guests feel they’re at their home away from home. A home with 124 rooms. That’s a lot of vacuuming. And who can live without a guest laundry, pool and fitness center? Everything is up to par, as is evident by the structure itself, and the one $billion tourism contributed to Florida’s economy this past year. Can’t argue with those results. Whether in the immediate future or the upcoming years, travelers will be well taken care of at the variety of shiny new hotels Florida’s Capital has to offer. Just make sure to watch for Gators. Find these Tallahassee hotels and many more and use the Bonwi Points you earn for a beach escape next winter, like to Miami Beach at the bottom of the state. The French Quarter Inn, in Charleston SC. Opened early this year, The Hotel Bennet has been twenty years in the making and will be known as one of the most opulent hotels in the Charleston area. The CEO of this project, Michael Bennet, had to jump through several legal hoops during development, including an aspect of the buildings height restrictions. Fortunately, he’s an old hat to the development game. The renovation of this historic building has taken a European approach to style and architecture, using marble, limestone, and copper infused with “Carolina Lowcountry Soul” as described by Forbes. Located in the heart of Charleston this establishment, the hotel features a two-story restaurant headed by Executive Chef Michael Sichel, a French-style patisserie and a rooftop bar and pool. And don’t forget the champagne bar. The expansive hotel took 47 months to build, starting in March 2015. If not baby’s bottom new, you will still find high quality, well-established lodgings in this historic city. A top hotel review site has two Charleston hotels ranked for best the in country in 2019 ranking first and third; the French Quarter Inn and The Spectator hotel. The French Quarter Inn, located in downtown Charleston, features personalized travel plans created by the exceptionally competent front desk staff, a daily wine and cheese reception in the opulent lobby, free bike rentals (the classic ones with a basket, of course) and rooms with breathtaking views regardless of your budget. The new Hotel Bennet in Charleston SC. For those renting the Luxury King Balcony Full Sweet, a full king sized bed, a furnished balcony and a fireplace can be turned on at the end of an active sightseeing day. Hotdog! The Spectator Hotel is, ‘a little waterside beauty” and is, “regularly ranked among the city of Charleston’s most luxurious retreats.” Opened in 2015, the hotel offers front door access to Charleston’s market, historic neighborhoods are all with a three-mile walking distance and conveniently surrounded by a variety of shopping, art galleries, and fine dining. Though a smaller establishment, the lobby and adjacent bar are expertly designed for aesthetic pleasure and facilitated conversation with a cross between the 1920s flare and upscale modern. And don’t forget to tip the rotating butler, around for all your luxury vacation details and needs. The Charleston City Market, since 1807. The Charleston Market was once called and is sometimes still referred to as “the slave market” because of its long history of being the place slaves went to buy food for the plantations. A special aspect of the market are the ladies who make and sell their own special Charleston baskets. It goes back all the way to Africa, and their careful construction out of sweetgrass and palmetto leaves makes these items special indeed. The Charleston City Market is located right n the heart of the city on Meeting Street, about a 10-minute walk from Broad Street, the city’s main drag. If you choose to drive, you’ll find only limited street parking available. Find out more about vendors and goods on the market website. Find hotels in Charleston SC and use Bonwi points for a future trip. Then book a trip to Savannah while you’re at it, using our guide to where to stay in Savannah. Times Square, New York City is a great place to combine business with leisure! The concept of blending business travel trips with leisure vacation is growing at a rapid rate. An SAP Concur study shows a 20% uptick in bleisure travel. For this study, a “bleisure trip” included a Saturday night stay, but it’s not uncommon for these trips to extend at least two or three days. Overall, 2.2 million bleisure trips took place in 2017. That’s about 10% of all business trips. While most business travelers still have to sightsee on their travel days, 1 in 10 travelers is able to stay an extra day. According to Forbes, the nine most common bleisure destinations include New York City, Chicago, Los Angeles, Tel Aviv, London, Paris, Tokyo, Singapore, and Shanghai. Here are a few of the top bleisure hotels in popular destinations. Right in the heart of Times Square, it’s easy to understand how the Sheraton Hotel puts business and leisure travelers in the perfect spot. The Sheraton offers easy access to countless midtown offices and businesses, while onsite you can make good use of the 60,000 square feet of meeting space, including an Executive Conference Center that’s ideal for small groups. It’s almost too easy to find entertainment near Times Square. Spend some time in the bars, museums, or see a Broadway show! When you’re in Times Square, check out one of the newest and most amazing exhibits, Gulliver’s Gate. A world in miniature that’s astounding. You may even have a view of the skyscrapers going up at Hudson Yards. This luxurious Chicago building is perfectly designed for leisure while taking care of business. Meet with associates in one of the eleven meeting spaces, then head upstairs to the Peninsula Spa for an Asian-inspired treatment. After the long days of business, relax on the sun terrace near the indoor pool. Right in the heart of the popular Manhattan Beach community, westdrift is only a mile to the beach, and a quick trip to The Point, the city’s shopping, entertainment and dining hub. westdrift Manhattan Beach features 393 luxury guest rooms combining iconic designs, amenities and culinary offerings that speak to both coasts. Take some time to enjoy the nine-hole golf course, indoor and outdoor restaurants, a cross-fit inspired fitness center, a pool surrounded by cabanas, 18 meeting rooms, a traditional ballroom, and three large industrial-chic venues. Book your meetings on Monday or Friday that way you will have Saturday and Sunday to travel. When you travel for a business, there’s a chance you have to stay at a particular hotel. Asking if you can use your company’s prenegotiated rate can also save you lots of money. Many bleisure-friendly companies are open to extending this benefit to employees. Next time you consider traveling for business, consider adding a few personal days to explore the area. More than likely the company will already cover transportation costs, so enjoy the long weekend! Find something exciting in every new city and save on hotels using Bonwi points! The Chicago River in Chicago, where the RiverRun will add a two-mile trail connecting parks. Chicago’s skyline is rising every year, as the prominent US city continues to grow and expand. Nowhere is that clearer than along the banks of the Chicago river running through the cities bustling center. Skip the chrome Bean, as new activities will include Chicago’s RiverRun Project. Due to be completed this year (2019) the new concrete path will stretch two miles and connect several of the city’s best parks, creating a central recreational hub. A bit less current having come out in the fall of 2018 but just as entertaining is the Art on the Mart honing in on Chicago’s diverse public art. This nicely complements the self-guided Frank Lloyd Art Trail featuring 13 of his best-designed buildings throughout the state. From art to architecture to music, Chicago’s historical prevalence concerning the history of Jazz makes it the ideal location for the modern Chicago Blues Museum, also due to open this 2019. Located near Millenium Park, the structure will highlight the pioneering blues individuals of the past while simultaneously supporting the artists of today by displaying traditions carried over, as well as housing a performance lounge. Besides Chicago’s RiverRun, the city is looking to increase its diversity of owners along the RiverWalk. Three new areas with the vendor and city-funded upgrades to boot will begin construction this fall. This change is part of the $10 million allotted to improvements along the RiverWalk announced in January 2019. The Hotel Zachary opened this past year. With its stunning views of the Michigan Lake and fantastic West Town Bakery, the wonderful amenities are all wrapped up in the nuanced architecture by the well-known architect and namesake of the hotel, Zachary Taylor Davis. The artistic touches will not be lost on the average city hopper. If you’re looking for something more traditional look no further than The Wheelhouse Hotel. Intimate and luxurious, the baseball-inspired and hyperlocal experience will have you wishing you didn’t have to leave. If you’re a drinker, the speakeasy-style bar Tinker to Evers will definitely be the highlight of your stay. The name comes from the famous triple play from baseball’s olden days, (Tinker to Evers to Chance). Chicago is one of the USA’s biggest convention markets, so you will probably end up there at some point if you go to a lot of conferences. It’s also the home of Lollapalooza if you’re into music festivals. And remember, one business trip to Chicago could pay for a free hotel stay in warm Miami beach if you play your Bonwi cards right. With all the new and upcoming restaurants, entertainment, and upgrades exploding on the riverfront, make Chicago a top priority for your next big-city adventure. And of course, you and fine great hotel deals in Chicago and use the points for a trip later on! Where should you stay when you visit Savannah, Georgia? Well there are plenty of great hotels to choose from there, so a lot of it depends on your style and how much walking you want to do. Savannah hotels get booked out quite far in advance sometimes, however, especially on weekends, so use this guide to figure out where you want to be and plan as far ahead as possible! Savannah was founded as a port city up a deep river from the storm-rattled coast, a place where the British could base their trading operations in the new world. Tobacco, cotton, and less noble cargo went in and out of the riverfront docks at a furious pace for more than a century. Now most of those riverfront buildings have been converted to residences, shops, restaurants, and yes, hotels. The Savannah Marriott Riverfront is one of the largest properties, sitting on a hill overlooking the river into South Carolina. There’s also a Hyatt Regency that may win the prize for the ugliest building in the area. Independent properties include The Cotton Sail Hotel, River Street Inn, and Olde Harbour Inn. The ironically named Bohemian Hotel Savannah Riverfront is actually one of the most expensive places in town, part of the Autograph Collection. Search rates and points paybacks in Savannah. Once you climb up the bluff from the river, that’s where you’ll find the greatest concentration of hotels. The ones along the first few blocks here are the most convenient, within walking distance to everything and close to all the best restaurants and bars. I stayed at East Bay Inn while I was there and would highly recommend it. (See a full review here.) It’s in a historic brick building with spacious and elegant rooms, plus there’s a social hour each day with complimentary food and wine. The same company runs five other interesting properties under the Historic Inns of Savannah group. There are a few larger independent hotels in this strip, but most are chain hotels in converted commercial buildings. There’s an Andaz, Hampton Inn, Kimpton Brice, Staybridge Suites, Hotel Indigo, Doubletree, and Hilton Garden Inn all along Bay Street. If you are going to a convention in Savannah, you will be attending a conference hall that is on its own island in the middle of the river. That means you’ll be taking a ferry each morning and night (which is fairly quick and pleasant), or you will stay at the big high-rise hotel right next door. That would be the Westin Savannah Harbor Golf Resort. There are many hotels that are on various plazas throughout historic Savannah, most of them small inns or B&Bs. In the more commercial area though, there are a few newer builds that were constructed from the ground up. Perry Lane Hotel is one of the newest and hippest places to stay, with the great roof deck pictured above that’s worth a stop in for a drink at least. It’s part of the Starwood now Marriott Luxury Collection. Independent hotels among the plazas include The DeSoto, Eliza Thompson House, 17Hundred90, and The Marshall House. The Mansion on Forsyth Park is where celebs in town filming a movie often stay. To find an inexpensive hotel in Savannah, you need to have a car or be willing to pay for long Uber rides. This is especially true on weekends when everything near the center is in high demand. Most of the inexpensive hotels are a miles out of town, away from the historic area. Most of these are mid-range and budget chain hotels, all in a strip between Midtown and Oglethorpe Mall. There you’ll find Baymont, Homewood Suites, Fairfield Inn, EconoLodge, Hampton Inn, Motel 6, and the like. Find the best Savannah hotel rates here, plus earn back more loyalty points than with any other program. For things to do in the area, see the Visit Savannah site. Article and photos by Tim Leffel, editor of Hotel Scoop and the Cheapest Destinations Blog. The gondola to the top of Sandia Peak near Albuquerque, New Mexico. While Albuquerque rarely pops up on must-visit travel lists, it truly is a dream destination for travelers. As the biggest city in New Mexico, Albuquerque indulges in a culture unlike any other. Next time you visit southwestern America, be sure to spend a few days in Albuquerque. Enjoy your stay at The Embassy Suites by Hilton Albuquerque Hotel & Spa, located in downtown Albuquerque, New Mexico. This all-suite hotel is only three miles from Albuquerque International Sunport and even closer to the University of New Mexico, and the Albuquerque Convention Center. Need some fun family activities nearby? The Embassy Suites are in close proximity to attractions including the Albuquerque Natural History Museum, Balloon Fiesta Park, Historic Old Town, Sandia Peak Tramway and Sandia Ski Basin. Each two-room suite features a separate living room with a sofa bed, WiFi, a large desk, a mini-refrigerator, and microwave. Start your day with a free made-to-order breakfast or stop by Caffeina’s for a bagel and coffee. What was once the tallest building in Albuquerque, New Mexico now stands Hotel Andaluz Albuquerque, Curio Collection by Hilton. Set in the heart of downtown, this marvelous hotel features stylish guest rooms, featuring unique artwork from around the world and Spanish-inspired design. Each room includes bath amenities, luxury linens, a signature Andaluz robe, and complimentary WiFi. Hotel Andaluz has many different suite styles to choose from including the Penthouse suite with a separate living and dining area, sofa bed, powder room, copper soaking tub, and Bose sound system. Don’t forget to try out the unique dining experience at the MAS Tapas y Vino where you can sip and eat, all while enjoying live entertainment at Ibiza Urban Rooftop Lounge, featuring views of downtown Albuquerque and the Sania Mountains. Other amenities include complimentary fitness club access, a business center and Mercado, featuring local bites and treasures. Anchored by a central plaza, Old Town’s cobblestone streets house galleries, restaurants, and souvenir shops. Highlights: Hotel Andaluz features beautiful guest rooms and suites. Experience the food, drink, and entertainment on the rooftop lounge. Anchored by a central plaza, Old Town’s cobblestone streets house galleries, restaurants, and souvenir shops. Both Native American and Spanish cultures have been shaping this neighborhood for centuries. Old Town holds Albuquerque’s oldest building, San Felipe de Neri Church. Many visitors spend a few hours wandering around Old Town. Rio Grand Botanical Garden, Albuquerque NM. The ABQ BioPark, just southeast of Old Town, gives any visitor a relaxing day spent outdoors. This massive park is home to four distinct attractions: an aquarium, a botanic garden, a zoo, and Tingley Beach. With a whole day worth of activities, ABQ BioPark is sure to provide you with an amazing day. The aquarium features a 285,000-gallon shark tank and 200-plus species including snow leopards, kangaroos, and polar bears. If you’re not interested in attending the zoo, spend the afternoon exploring the 36-acre botanic gardens featuring exotic plant species along the walking paths. You can also find yourself with options to hike, bike and fish at Tingley Beach during a summertime visit. For the most spectacular views of Albuquerque and the Sandia Mountains, take a ride on the Sandia Peak Tramway. These cable cars carry passengers about three miles along a suspended cable between eastern Albuquerque and the 10,378-foot-high summit of Sandia Peak. Visitors can be amazed by the views of the Rio Grande Valley and the Land of Enchantment. Find hotels in Albuquerque New Mexico and use your Bonwi points for a future trip! A luxurious room at the Hotel Dupont in Wilmington Delaware. Wilmington, Delaware is famous for the Dupont family, the founders of the chemical company of the same name–and when in Wilmington, the standard bearer for old-line, classic hotels is the Hotel Dupont, right downtown. The Dupont costs more than any other hotel in the city, but then, it’s historic, luxurious, and people rave about it, like these guests who stayed there in January 2019 for a wedding. One gushed, “Your hotel and wedding venue was amazing!! Food and service were outstanding. We were there for a wedding, and it was nothing short from breathtaking!!! Everything was what a gorgeous wedding should be. The hotel rooms were so comfortable and relaxing. We can’t wait to return!!! If you not up for a hotel that goes for upwards of $400 a night, there are plenty of other options in Wilmington, such as reliable chains like the Sheraton Suites, or Fairfield Inn. The interior of Winterthur, which is much different from Nemours mansion. Tab Hauser photo. A perfect spot for tea at the Nemours mansion in Brandywine. Tab Houser photo. The other Dupont mansion worth a visit to in Greater Wilmington is the Nemours Estate. This 300-acre property is open for guided tours. While a visit to Longwood Gardens centered on their gardens and not the mansion, Nemours is the opposite. Here, the mansion, modeled on a French chateau with its 105 rooms at 47,500 square feet is the center of attention. It is surrounded by a formal French garden and a pretty walk down a long grass lawn to a one-acre reflecting pool complete with marble statues. It’s quite a site to see! Find hotels in Wilmington Delaware and use Bonwi points for free nights the next time. JW Marriott in Anaheim, opening in 2019. Anaheim, California has passed an important milestone in the travel convention business–their convention center is now 1.8 million square feet, so they can attract some of the biggest meetings and conferences in the state. Next June, the city will host the world with the huge IPW Show presented by USA Travel. More than 6,000 travel and tourism representatives from 75 countries and all of the US states will be there. Anaheim has been on a hotel-building boom, with more than 23 million visitors year ’round, and 150 hotels in the city that calls Disneyland home. Here are some of the highlights. Catal Restaurant, Downtown Disney, Anaheim. At Disneyland, the company is building a new 700-room luxury hotel. It’s slated to open in 2021. Also in the works is the city’s first Element by Westin property that will open this summer at 205 W. Alro Way, just four miles from the Anaheim Convention Center. The five-story, 174-room hotel will offer a pool deck with barbecue grills and lounge chairs, suites and studio rooms, plus a fitness center. A luxury hotel by JW Marriott is in the works to open in 2019, adjacent to the GardenWalk in the city’s Resort district. The 12-story $150 million property will have 466 guest rooms as well as meeting space for groups. The seven-story Westin Anaheim Resort adjacent to the Anaheim Convention Center will feature 613 guest rooms, including 101 suites, three restaurants, two bars including a rooftop lounge and provide guests a great view of Disneyland’s nightly fireworks. This major property will also be opening in Anaheim 2019. Anaheim is definitely a city for beer lovers. Currently there are 15 craft breweries in the city and there are three more on the drawing board for 2019! And many of the existing breweries are expanding, like Golden Road Brewing that’s across from Angels stadium and offers a new 18,000 square foot indoor and outdoor beer garden and full service restaurant. Noble Ale Works, near Honda Stadium, is also expanding this year by 10,000 square feet. Drink up! SteelCraft Garden Grove just added the containers to the site November 2018, so it should be ready to open in 2019. Anaheim is also getting its own container park, like the one in Las Vegas, built from the homely containers that you can also see now in Long Beach. This will be Orange County’s first shipping container food hall. SteelCraft Garden Grove will include 20 artisanal retailers and restaurants, including coffee, wine, beer and dessert offerings, all located in repurposed cargo containers that are 40 feet each. Opening in 2019. Find hotels in Anaheim and save money using Bonwi points. The Sculpture in Birmingham, AL, that says “We ain’t Afraid of your Jail!” in Ingram Park. During its heyday of iron trade, it was also a melting pot of racial tensions, segregation, and violence against African-Americans. Today, the city now nods to its controversial history by incorporating these issues throughout attractions and accommodations from its past, and the conflicts that still linger today. Many entrepreneurs and corporations have helped bring life back to the city through subtle makeovers in recent decades. Birmingham is a great place to visit to embrace and learn America’s history in the deep south, and with many family-friendly attractions, the kids can tag along too. Railroad Park is a 19-acre green space right in downtown Birmingham. The landscape celebrates the industrial and artistic heritage that the city holds. Known as “Birmingham’s Living Room,” is perfect for locals and travelers to gather from recreational activities, concerts, and special events. The park’s land features a lake, running trails, skate bowls, an outdoor gym, and playgrounds. Whether you’re looking to take a stroll with the family, get in some exercise or even to just enjoy some great views, railroad park is a popular hub throughout the entire year. Another nod to its rich heritage is the Birmingham Civil Rights Institute. The moving story of the city’s role in the civil right movement is presented through exhibits and permanent and temporary galleries. These exhibits are not solely focused on the past but are used to present the ongoing international struggle for human rights. These exhibits detail some of the most significant events that occurred in Birmingham, including the loss of the 16th Street Baptist Church after a bombing orchestrated by the Ku Klux Klan. Barber Motor Sports is a private 4-mile track and an incredible collection of motorcycles and racing cars outside of Birmingham, AL. Max Hartshorne photos. For a fun activity check out the Barber Vintage Sports Museum, a collection of George Barber’s motorcycles. The largest in the world, the facility features over more than 1,400 bikes from 200 different manufacturers. The museum is also home to an extensive collection of Lotus cars, hundreds of motorcycles and early bikes, and an outdoor track. The outdoor track also hosts the Porsche Sport Driving School. Its doors first opened in 1925, but The Redmont Hotel is still a staple accommodating guests in the heart of the city. Its art deco décor creates a timeless feel that’s not overshadowed by elegance. The interior also features art and photography by locals of the present and past, to further showcase Birmingham’s rich history. With in-house restaurants and the bustling downtown right outside the front doors, guests will not be short of dining options. Visitors have the option of dining at the Redmont’s very own Harvest Restaurant and Bar along with a plethora of lodging options. Not to mention, guests are close to some of the Magic City’s acclaimed attractions. Opened in the summer of 2017, the Elyton Hotel takes the sophistication of the south to a new level. With modern interior décor and hats-off to rich tradition, the hotel is finished with tall ceiling, restored marble walls and bronze fixtures to illuminate the natural light in a loft-like setting. Guests may enjoy the hotels restaurant, The Yard, choosing dining options from a southern-style menu and local fresh products. A rooftop terrace offers a whimsical experience for sipping on cocktails while enjoying the weather with a memorable view. Vulcan Park and Museum in Birmingham, AL. The Inn at Pursell Farms opened in fall 2017, and offer a 40-room escape from the hustle and bustle of the city. The Inn allows you to savor what Birmingham’s landscape and nature has to offer, just under an hour outside of the city. The inn offers an array of cabins and cottages, each with four guest rooms opening to a spacious living room. To top it off, each cabin or cottage includes a personal golf cart to zip around the resort’s scenic property. Pursell Farms also includes amenities such as the FarmLinks Golf Club, which was named Golfweek’s #1 all-access golf course in Alabama, 2011, 2013, 2014, 2015, and 2016. The property also offers over 3,000 acres of hunting, fishing and shooting and a farm-to-form dining experience. For a genuine southern experience, the Inn at Pursell Farms has so much to offer to guests and their families. Find Birmingham Hotels and use your Bonwi points to save on your next trip! Austin’s newest hotel is the Line Hotel on Cesar Chavez Blvd. Austin’s always been a bit of a spoiled brat of a city. I mean, it’s impossibly hip, it’s got Google Fiber, the fastest internet on the planet, and everyone who’s cool and hip is seen every March at the famous South by Southwest Conference. But what we want to know is, what’s NEW? Austin for the past few years has been on a hotel-building frenzy, with nine hotels coming online. The city added 2000 rooms in 2015 alone! The Line Hotel was built in a 1965-era building that was once the home of a jazz club where live jazz was performed and played on local radio. The new hotel is now open right on the lake, which is also a river. The Line Hotel is a classic old style hotel, with new amenities that bring it into the 21st century. The designers have incorporated local artwork into many parts of the building, and they host many music and cultural events. The Line’s lakeside infinity pool will tempt guests who will want to linger before taking on the city’s exciting music scene. In 2018, the elegant Fairmont Hotel, from Canada, opened up a 37-floor, five- restaurant behemoth in Austin on Red River Street, with 1048 rooms and suites. The rooftop pool at the Hotel Van Zandt in Austin Texas. The Hotel Van Zandt opened a year earlier, a Kimpton property, it features a swanky rooftop pool and that oh-so-hip atmosphere the K brand is famous for. You can bring any sized pet, and they even have a dog sitting and walking service available! And you can even watch the amazing site when the world’s largest urban bat colony emerges in summer when you’re sitting on their outdoor deck. Geraldine’s, the Van Zandt’s restaurant and bar, is a hot spot for local music lovers, and for those who love shareable plates of New American cuisine. The new luxe boutique hotel, the Archer Austin. The Archer Hotel is another new stand-out in Austin, this one is a boutique hotel with eight stories and 171 rooms, and the Second Bar and Kitchen, where chef David Bull’s gourmet cuisine is presented in an airy setting with floor to ceiling windows. You’re right where the action is at the Archer, where the Rock Rose, Domain NORTHSIDE’s entertainment district, is a best-of compilation of Austin’s homegrown restaurants, bars, and shopping. The smaller Hotel Ella is a boutique property in Austin. For something a bit different, and more historic, try the Hotel Ella, that’s walking distance from the University of Texas at Austin. Constructed in 1900, the Greek Revival-style mansion underwent an extensive renovation in 2013, and now offers a perfect balance between modernity and a rich history. With 47 guest rooms, a cabana-lined pool, and a wrap-around veranda, Hotel Ella features beautifully designed outdoor and indoor spaces you’ll find the perfect spot for a business gathering or a romantic getaway. If you’re thinking of Austin for SXSW, or just for the fun of it, find Austin Hotels on Bonwi.com and use your points for a future stay. Cincinnati: The Paris of America Awaits! Art exhibit in the 21c Museum Hotel in Cincinnati, Ohio. A 19th-century boomtown has escalated to a popular travel destination in the United States. Cincinnati Ohio was commonly referred to as the “Paris of America”, due to such ambitious architectural projects it endured during its most progressive development period. The large city has many fun and family-friendly attractions which have been additions in recent years, creating the ultimate vacation spot for just about anyone. Under renovation since late 2016, November 2018 was the grand reopening of Union Terminal’s grand Rotunda. As the holiday season approaches the center shows off an impressive 9,000 square foot exhibit of trains, displaying realistic toy-trains in a whimsical setting, and the opportunity to visit with Santa. Cincinnati Union Terminal at Cincinnati Museum Center, principal façade. Additionally, there are the first phases of the new permanent galleries, the Museum of Natural History and Science’s Dinosaur Hall, and Cincinnati History Museum’s Public Landing. Dinosaur Hall is an entirely new feature, displaying six giant, prehistoric beasts. The premium interactive elements will allow visitors to experience the Jurassic period like never before. The hall will utilize the center’s fossil collection to explore the evolution and biology of dinosaurs. Opened in the year of 1875, Cincinnati Zoo is the second-oldest zoo in the nation. Gorilla World, in the Cincinnati Zoo, allow visitors to get up-close-and-personal with 11 real-life gorillas in the new indoor habitat. Floor-to-ceiling viewing glass allows for an enhanced experience, close to one might see in the wild, to watch the gorillas play. Gorilla at the Cincinnati Zoo. Visitors can hand feed a giraffe, take a safari ride, or enjoy a cinematic experience in the 4-D Theater. With over 75 acres of land, the zoo hosts more than 580 animal species and 3,000 flora and fauna species, also making it one of the largest zoos in the U.S. The zoo is the optimal location for a unique family day. The state-of-the-art facility allows guests to enjoy the banks of the Ohio River in the world’s most advanced, creative technology, to create an enhanced trip around the globe featuring amazing animal species. Newport Aquarium’s million gallons host an unbelievable array of sea creatures, allowing guests to get hands-on. Guests can touch a shark, play in the interactive frog bog and even pet a penguin during the Penguin Encounter exhibit. Most daringly, take a stroll across the Shark Bridge. It is the only suspension bridge in North America where guests can walk inches above two dozen sharks. The rope bridge is 75-feet long and is suspended over the open water at the Surrounded by Sharks exhibit. After a 12-year hiatus, Kings Island has finally re-introduced its favorite wintertime family expedition. Kings Island is a popular family location with more than 100 rides, thrills, and family-friendly attractions. In the winter months, the amusement park hosts a festive winter wonderland features an ice skating rink, a 315-foot-tree, carolers, train rides, a Santa’s workshop, under bright Christmas lights. Once the booming brewing center of the U.S. with a per capita consumption of beer beyond any other U.S. city, The Brewing Heritage Trail celebrates this astonishing heritage. The urban walking trail winds through Cincinnati neighborhoods to the dozens of historic breweries. Walkers will enjoy public art and digital experiences as they follow the trail during a day full of beer. The intricate circuit of hotels in downtown, is easily outpaced by the contemporary 21c Museum Hotel. The historic Metropole Hotel features an 8,000 square-foot art museum, hosting collections of contemporary art in the most unexpected places of the boutique hotel. With 156 rooms, multiple venues, and unique displays of art, 21c is an exciting space full of change and unique experiences and décor. Find Cincinnati hotels and use your Bonwi points to stretch your business and leisure traveling expenses! Which Are the Top Meetings and Conventions Cities in the USA? If you go to a lot of conferences for your job, you’ve probably noticed that you spend a lot of time walking the exhibition halls of specific cities. While every metropolitan area in the USA would love to have your meetings and conventions business, there are a few behemoths that win by pure capacity. Vegas knows how to shock and awe in every category and just by the numbers, they come out on top in both space capacity and room capacity. There’s a staggering 10.8 million square feet of conference space here, partly in 3 of the 10 largest convention centers in the country. You’ll have plenty of choices on where to bed down: about 157,000 rooms across nearly 200 hotels. And Las Vegas hotels are often not very small affairs either: MGM Grand alone has more than 6,800 rooms. When you combine The Pallazo and The Venetian, they have more than 7,100 rooms. Search hotel prices and point redemptions at Bonwi.com, where your conference stay could earn you enough points for a weekend vacation somewhere else. Orlando’s hotels and resorts aren’t as massive as the biggest in Las Vegas, but the sprawling city has more places to stay overall, with 265 of them. There’s something here for all budgets and parents who want to extend a business trip clearly have lots of things to spend the family budget on with Disney, Universal Studios, Sea World, and other attractions. Orlando has 4.64 million square feet of meeting space for conventions, but be advised some of that space is in self-contained resorts that can only be reached by car. Fortunately, rental cars are abundant and reasonably priced. You can earn Bonwi points for those and your Orlando hotel stay. One of the USA’s largest cities attracts plenty of convention business to fill up its 50,000 rooms across 177 hotels. This is a tough city to walk around in during the winter, but many conference goers don’t spend a lot of time outside. The largest exhibition space here is massive: 2.1 million square feet. The largest ballroom is nearly 104,000 square feet–nearly two full football fields in size. Cvent says, “More people travel to Chicago for overnight business than any other U.S. destination. Its accessibility certainly plays a role in its popularity, as about 46 million people are within one day’s drive of Chicago.” See hotel rates and get the highest points payback at Bonwi.com. Fast-growing Atlanta has the world’s busiest airport, so getting to the city is easy from nearly anywhere. The city has 43,000 rooms across 195 hotels in all price ranges, with most major chains represented. A quarter of those are in the convention district. The easy access and mild year-round temperatures bring in 51 million visitors a year to a walkable convention district in a city with a metro from the airport. The largest exhibit space is 2.6 million square feet and there is a total 3.9 million square feet of meeting space. Get the best rate on an Atlanta hotel here. With some of the USA’s best year-round weather and easy access to the Pacific Ocean, San Diego is a popular sun-and-fun destination all year. The city boasts 70 miles of beaches and 92 golf courses. It has 2.6 million square feet of meeting space and 210 hotels to choose from. See rates and point earnings on San Diego Hotels. I once attended a convention lunch so large in D.C. that I couldn’t even see the person on stage speaking unless I looked at the big video monitor. The nation’s capital has a massive conference center in a convenient location not far from the government buildings and the Smithsonian. That ballroom I had lunch in is the size of 7 football fields and it’s part of 2.2 million square feet of meeting and exhibition space. Be advised that D.C. hotel rates are the priciest of any city on this list, though they can drop when congress is in recess. Make sure you get something back from all that money spent by earning Bonwi points from your Washington DC hotel. These top six cities aren’t all that surprising: they’re all large metro areas that have plenty to see and do, with easy air access. Some of the other top convention cities are much smaller, however. Nashville, Tennessee ranks just below D.C. as a convention destination thanks to a downtown conference center near the honky-tonks plus the long-established Gaylord Opryland complex closer to the airport. New Orleans, LA is America’s favorite party town, with to-go cups of alcohol, a casino near the bars, and a street car system to get you around town. It is also a major conference city, with a massive ballroom and a wide variety of interesting hotels that are clustered close together. Austin, Texas is experiencing explosive growth and its long-running music scene (with 250+ live venues) has been joined by a thriving tech industry. Some 24 million people a year visit Austin and its highly ranked airport. San Antonio, Texas may be the wildest wildcard on this list, but it outranks Los Angeles and Boston in attracting conferences. This city doesn’t attract the mega-conventions with its 742,000 square feet of meeting space, but that space is some of the most modern available after a $325 million expansion of the Henry B. Gonzalez Convention Center in 2006. Article and photos by travel writer Tim Leffel, editor of Hotel Scoop. A scenic bridge in Cleveland, Ohio. Named “The Forest City” in 1834, Cleveland, Ohio has a deep pipeline of history. Located on the southern shore of Lake Erie, Cleveland is dynamic, sophisticated and vibrant. Cleveland rapidly became one of the largest manufacturing hubs in the United States in its early days. The city’s location on the river and lake shores, as well as being connected to many canals and railroad lines, made this the perfect manufacturing center. Over the years, Cleveland has been a home to many crime stories and crime-lords. Crime is particularly present in only certain districts of the city, and other neighborhoods are very inviting for visitors. Located on the shores of Lake Erie, Cleveland is an ideal location to sit back and enjoy a cold craft beer or locally distilled spirit among the history. Clevelanders have created a city known for award-winning food and historic buildings. The vibrant, culturally diverse city is filled with world-class museums, attractions, and parks. Home to the second largest performing arts center in the United States, Cleveland hosts many Broadway musicals, concerts, speakers and other large events throughout the year. Playhouse Square Center, in the Cleveland Theater District, was originally constructed in the 1920s. After closing down, through grassroots efforts the building was revived and is recognized as “one of the top ten successes in Cleveland history”, for an entrance to the new era of downtown revitalization. Cleveland Museum of Art is a globally recognized attraction and with a $755 million endowment, it is the fourth-wealthiest art museum in the nation. The establishment houses over 45,000 works of art from around the world over 5,000 years of time and is internationally renowned for its holdings of Asian and Egyptian art. The museum is now one of the most visited art museums in the entire world. The Rock and Roll Hall of Fame in Cleveland. The Rock and Roll Hall of Fame is one of the most recognized faces of Cleveland. In 2017 alone, more than half a million visitors traveled to see the famous establishment. Credited to holding the country’s first rock ‘n’ roll concert, the city has hosted some of the most famous faces of rock; from the Beatles, Paul Simon, Elvis, David Bowie, Bruce Springsteen, Madonna and many more. In April of 2018, Cleveland hosted the Rock and Roll Hall of Fame induction, with Bon Jovi, the Cars and other rockers flooding the city. Visitors can expect to see impressive collections of memorabilia— from John Lennon’s guitar to hip-hop pioneer Jam Master Jay’s gold chains. The Hall showcases many installations throughout the year, a recently popular exhibit being a history of women in rock. Bon Jovi at their Rock and Roll Hall of Fame induction in 2018. Cleveland is not short of places to stay either. Downtown is lined with new and old hotels, exhibiting the city’s vibrancy, diversity, and history. The DoubleTree by Hilton is warm, welcoming and is the closest hotel to the Rock and Roll Hall of Fame. The building overlooks the shore of Lake Erie and is close any attractions you and your family may want to visit during your stay. Metropolitan Hotel at the 9, Cleveland, Ohio. The Metropolitan Hotel at the 9, is a luxury property to pamper you. Located in the center of downtown Cleveland, the art and history of the city blend seamlessly at the iconic location. The design of the hotel displays bold designs, distinctive amenities to create a unique travel experience full of character. Whether you’re going to Cleveland on business or pleasure, be sure to look into Bonwi and after you book, you’ll get points to use the next time. Choo Choo Hotel lobby in Chattanooga, Tennessee. Tucked between mountains and the Tennessee River, Chattanooga is one of America’s most breathtaking cities and has garnered the nickname “Scenic City”. Beginning about two decades ago, private and governmental resources have invested an incredible amount of time and money to transform the city’s tarnished image. In fact, the New York Times named the city one of the “Top 45 Places to go” in the World. The renovated city has also taken home many national awards for outstanding livability and largest metro areas where to get the best “Bang For Your Buck”. The “21st Century Waterfront Plan” was put in place in the early 2000’s to revitalize the downtown area and making use of the Riverfront’s natural resources. Since then, visitor numbers have drastically increased and the city is opening new attractions and accommodations each year to support the influx of crowds. The Scenic City has become a world of outdoor adventure, amazing restaurants, boutique hotels, live events, and world-class attractions. One of the best and safe ways to explore the city is on the water. New attractions line the Tennessee River offering endless activities like paddle boarding, kayaking, surfing, and electric unicycle rides. Chattanooga is home to one of the nation’s top children’s museums, the Creative Discovery Museum, perfect for a day for family fun. The museum inspires children’s passion for learning through play; clay sculptures, message zooming through pneumatic tubes, digging for dinosaur bones and cast assuming in the Back Alley Theatre. A great way for the family to enjoy the hands-on activity while inspiring imagination in the younger generations. As Ruby Falls celebrates their 88th birthday in 2018, they are proud to open the first phase of the $20 million expansion. A destination that inspires exploration, Ruby Falls is home to the tallest and deepest underground waterfall, located 1,120 feet beneath the surface of Lookout Mountain. Highlights of the expansion include a new entrance, accessible Blue Heron Overlook, shaded open-air dining, the Village Gift Shop, and the Village Plaza that serves as a gathering place with live music and food carts. Guided tours are offered to explore the cavern trails and ancient geological formation, supported by abundant views of Chattanooga. Chattanooga offers some of the very best accommodations in the country. For an authentic experience of the city’s history, the Chattanooga Choo Choo Hotel is the place to stay. Opened in 1909 as a terminal station during the golden age of railroads, today the station stands as a grand hotel in downtown Chattanooga. The building boasts dining, retail shops, rose gardens and a unique twist to spending a night in town. Guests can overnight in beautifully restored sleeper cars, which were once reserved for the wealthiest of passengers in the railroad era. Many new accommodations are being welcomed to the city in the fall of 2018. Two of the most highly anticipated additions include the Edwin Hotel and Moxy Hotel, both boutique hotels. Whether you’re off to Chattanooga on business or for fun, why not use Bonwi points and get free hotel nights? The Parlor, a room at the Siren Hotel in Detroit. Bleisure travel is quickly becoming the newest popular trend among young professionals. The idea is simple – you have to go on a work-mandated excursion to meet a client or attend a conference in a city you’ve never been to before? Why not use up a couple of those well-earned vacation days and take some time for yourself to see it from a tourist’s perspective? And with Bonwi points, you can buy the hotel for work and use the points to extend your trip for fun! By spreading out their vacation days into a multitude of smaller, less exotic mini-vacations, millennials are effectively finding the ability to check out unexplored parts of the country and take advantage of some of the new attractions these always-growing cities have to offer. One of the most popular locations for these wanderlusting young people is America’s Motor City, Detroit, Michigan. Detroit is facing a revitalization effort of epic proportions, with engaging new attractions being built all the time. Coupled with these new developments is a greater emphasis placed on luxurious and trendy spaces for visitors to stay and explore the city. Recently, three exciting new hotels are opening up within a two-block section of downtown Detroit that are sure to garner the interest of bleisure-minded folks. The new Siren Hotel by ASH NYC is finding its home inside of the historic yet seriously dilapidated 1926 Wurlitzer Building. The restoration process was completed in November of last year and its massive transformation left even locals to the area stunned. The hotel consists of 106 guestrooms, a rooftop deck, 2 retail spaces, and several food and beverage options. The aesthetic of the building’s new design draws from the history of the once bustling organ manufacturer’s main office building and incorporates some new ideas from the mind of chief designer Will Cooper. The location is perfect for those looking to find a downtown headquarters for their explorations of the most happening part of the city and offers a great variety of room options for any prospective guest. Opening in December 2018, Marriott’s new installation in their extended-stay Element Hotel series is sure to take Detroit by storm. Finding its place in the once-great Metropolitan Building, the first Element Hotel to open in Michigan will be a 14-story, 110 room sanctum for those looking to stay in the city for a longer period. The hotel will have 2,000 square feet of meeting space on its second floor, making it the ideal location for in-town business operations and will also have a great deal of retail and restaurant space. This redevelopment will certainly mark a fantastic improvement for the run-down building, originally set for demolition. Last, but certainly not least on our list is the set redevelopment of the building at 1400 Woodward Avenue into the chic new Shinola Hotel. This project will see the disheveled shell of a building turn into one of the most happening places to stay in the city. The transformation of this building is the brainchild of two famous Detroit-based companies, Shinola and Bedrock. Their creative collaboration promises to produce one of the most happening spots in downtown. The hotel will provide 130 rooms for its guests and 16,000 square feet of retail and restaurant space. It is slated to open late this year and will be an excellent place to relax after spending a night out on the town. So if you find yourself in Detroit later this year on business, think about the opportunity to extend your stay in one of these elaborate new renovations to some of Detroit’s most famous buildings. Use your Bonwi Points and enjoy a stay at fine hotels like these–and get points back to spend as you wish! The Hotel Napoleon, a great place to stay in Memphis. Many people are eager to visit the South’s most soulful city to see Graceland, sample the mouthwatering eats, and immerse themselves in the music scene. With so many people coming to visit, Memphis has now become home to several different new and updated hotels that are catering to the crowds. From charming bed and breakfast to glamorous resorts, there’s a spot for everyone to come and be a part of the Home of the Blues. Hotel Napoleon has hit the Memphis scene as being a modern accommodation for the sophisticated and selective traveler. With 58-units, this luxury boutique hotel is located in the heart of Memphis’s downtown area inside the historic Winchester Building. 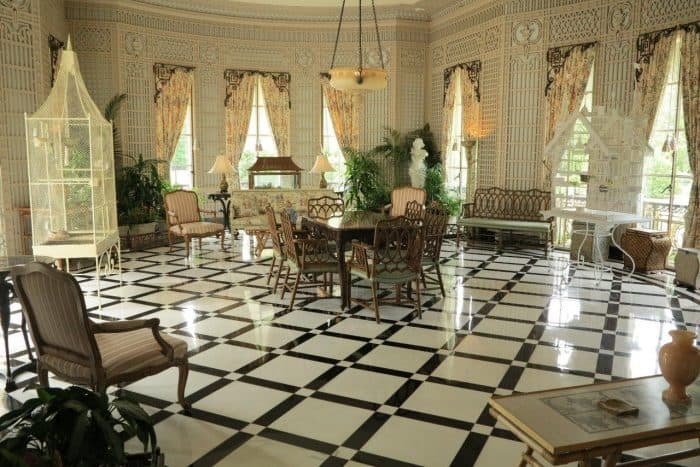 The Guest House at Graceland, Memphis Tennessee. “A boutique hotel unlike any other” is the phrase coined by Hotel Napoleon. Sitting just four blocks away from the mighty Mississippi River and historic Beale Street, this hotel is sure to get you in the Memphis spirit. If you’re looking for something even more immersive, Memphis now offers an everything Elvis hotel experience. The Guest House at Graceland offers Southern charm and glam at the newest luxury resort in the city. The resort is located just steps from Elvis Presley’s home, the Graceland Mansion. The resort includes 450 rooms and suites, two restaurants, a movie theater, a large outdoor pool, spa-like rain showers in each room, and much more to make for a swanky hotel stay. The Guest House also offers special packages for guests. Packages include a Graceland Getaway for 4, Graceland VIP Tour + Planes, the Elvis Experience + Planes Package Elvis Presley’s Memphis Celebration Package, the Taking Care of Business Package, the Breakfast Package, and an Elvis Week Package. Elvis Week is an event that happens each year at Graceland, and the Guest House is accommodating guests, and taking part in this event. This event package with the Guest House at Graceland offers $339.00 per night for a stay at the resort and a week of celebrating the music, movies, and legacy of the King of Rock ‘n’ Roll. The schedule of events includes the annual Candlelight Vigil, the Ultimate Elvis tribute, concerts, and much more. If you’re neither a resort, or boutique hotel, type of guest, then it would be time to take a look at the bed and breakfast options. The James Lee House in Memphis. Historic charm. The James Lee House one of the city’s most important residences and vibrant example of Memphis’ early grandeur and opulence. This location has been redone as a premier bed and breakfast. The families who have called the James Lee house home were deeply engaged in the development of every aspect of community life-from commerce and banking to benevolence and the arts. Due to its past inhabitants, this location has become a beacon of good in the community, and it now offers a unique opportunity to immerse yourself in a bygone era while enjoying luxury and comfort. If you’re thinking of combining work with pleasure in Memphis, find the best hotel deals on Bonwi that will give you points to use later. It’s Win-Win! Not only is taking the train romantic, it’s scenic and you can get discounts to places where you can kayak, hike or even ski! If you’re looking for an exciting trip to take for less, Metro-North Railroad is offering a discounted getaway to see the sights in New York City, Connecticut, and Hudson Valley. Metro-North Railroad is now featuring trips to various different locations that are major areas of interest for tourists, travelers, and locals alike. The railroad has created several different day-trip and vacation package deals that make a day of traveling a breeze for any tourist. Metro-North has organized several different trips to attractions in various areas that include a discounted price for admission and a corresponding railroad route that delivers travelers to each destination. The most recent additions for 2018 have been to their New York City getaway options. Metro-North Railroad has one of the least expensive options to travel to Manhattan, and there is frequent service. You can get discounts to the most popular attractions in the Big Apple from Metro North railroad. Frequent service allows travelers to come and go as they please with lots of room in the rail car; lots of seats for you, your family, and friends. Several different attractions and museums are featured by Metro-North Railroad, such as the American Museum of Natural History, Grand Central Terminal ‘Official’ Audio Tour, Guggenheim Museum, Gulliver Gate, Intrepid Sea-Air-Space Museum, Madame Tussauds New York, Metropolitan Museum of Art, Museum of Modern Art, New York Historical Society, National Geographic Encounter, Ripley’s Believe It or Not, the New York Pass, the Sightseeing Pass, and the Whitney Museum of American Art. Metro-North also has getaways to the Hudson Valley, Connecticut, the Bronx, various outdoor adventures, farms with apple picking, bike tours, walking tours, and shopping destinations. They even have an excursion to Thunder Ridge Ski area in Patterson, New York! In order to receive discounted rates on attractions and railroad tickets, you must hold on to your itinerary for rail times. Package prices come into play when you arrive at a certain railroad station and then go to the nearby associated attraction. An example of this is the Mid-Hudson Children’s Museum, an attraction on the Metro-North’s Getaways to the Hudson Valley, Connecticut, and Beyond. The deal that you receive through Metro-North applies to your ticket to the Mid-Hudson Children’s Museum if you arrive at the GCT/Harlem-125th Street. There are also other package prices available from other stations. Take a Metro North train to go skiing, kayaking, or hiking in nearby Connecticut! You can purchase your rail/admission ticket from any Metro-North ticket office, full-service ticket vending machine. Visit website for more information. You’ll need a place to stay, so find cheap New York City hotels by using Bonwi, and get points for your next business trip in the Big Apple too!